To carry out a feasibility study with structural design and drawings for the renovation of the existing library building. The library now functions as the Learning Resource Centre, housing everything from a suite of computers, DVDs and CDs to around 25,000 books, covering everything from animal husbandry to strategic business management and economics. The scheme was completed in 2011. The building required major renovation work to meet the client’s requirements, which included better circulation and the removal of a number of major load bearing walls, to provide more open plan, ground floor areas. The building was two storeys high with the first floor built-in to the roof, as well as a line of dormers along the length. 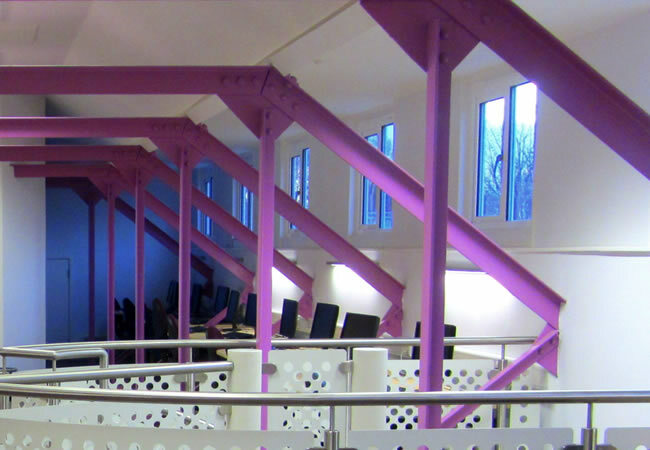 The roof was a mixture of both steel and timber trusses supporting purlins, rafters and tiles. The first floor was of timber construction supported on steel beams with both the external and internal walls being load bearing, solid brick masonry. 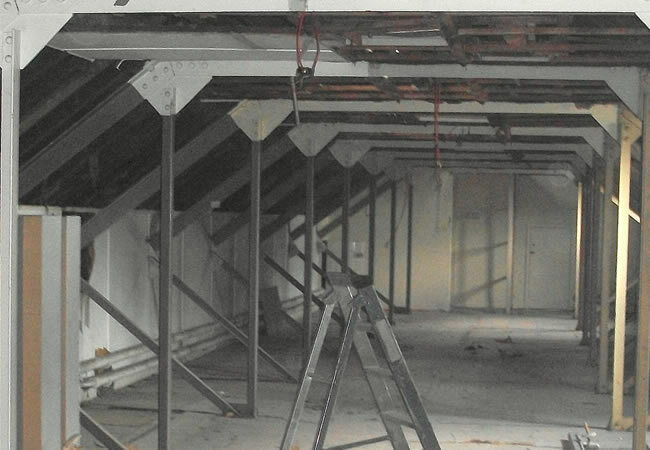 As part of the brief, Adept was required to carry out a detailed structural inspection of the building and a feasibility survey. Adept organised intrusive works to ascertain these structural details, basing their structural solutions on the results. The existing staircase was removed then remodelled, and a new spiral staircase provided. New steel beams were installed to trim the existing floors around these openings, and detailed drawings and connection designs were provided by Adept. New foundations were designed for the staircases. Adept checked both the overall and local stability of the building structure. Where the load bearing walls were removed, Adept detailed the temporary works which consisted of needle and propping, and designed the long span steel beams over the new openings which provided support to the timber floors above.